This image studies one piece of our label and was inspired by vintage botanical drawings. The Western White Ginger, a wild, edible plant found in the forests of Oregon, is a favorite of ours for its beauty and culinary properties. 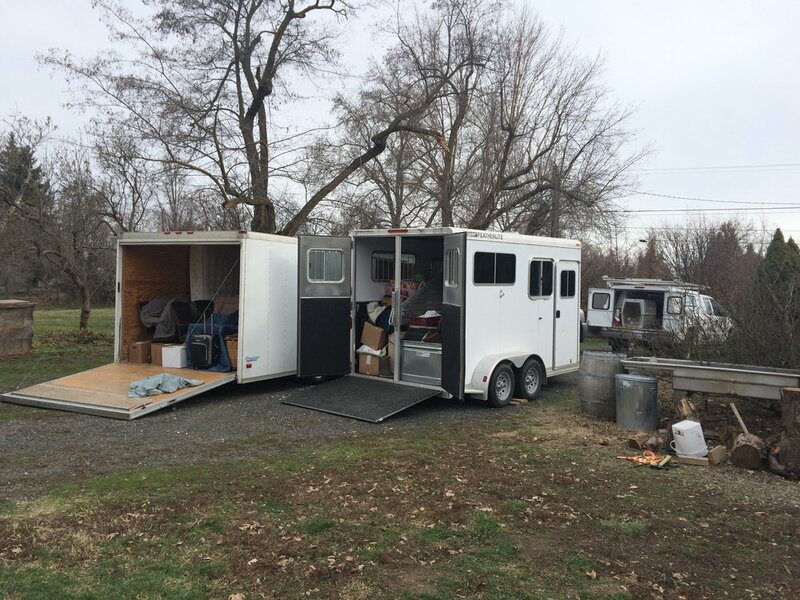 Mount Richmond Pinot Noir heading to Walla Walla. John on the forklift and longtime best friend BR helping out. Pressing fall leaves. Who knew blackberries could be so beautiful. 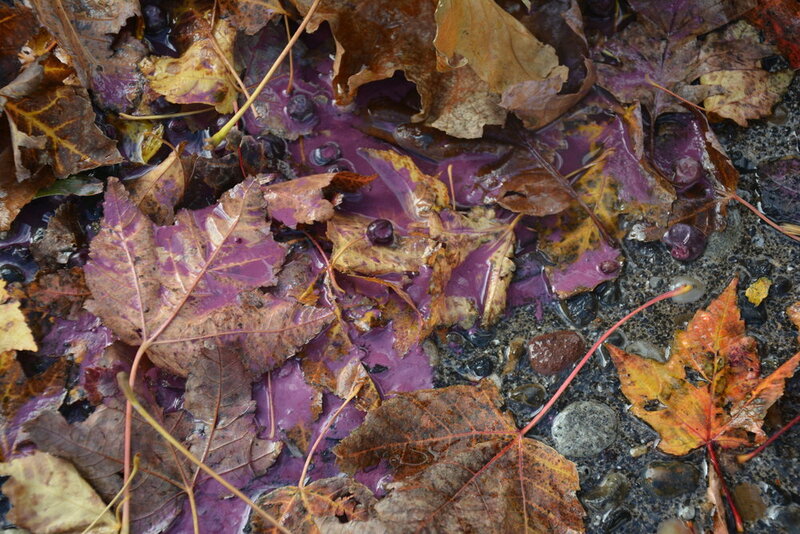 Some of the best fall color in Oregon is Poison Oak, but I think I’ll not press any of that! Freedom Hill Pinot Noir ready to pick. Freedom Hill, Pommard clone Pinot Noir. Daylight at Freedom Hill Vineyard, Dallas, Oregon getting ready for our first pick of the season, Chardonnay. Freedom Hill Chardonnay – beautiful! 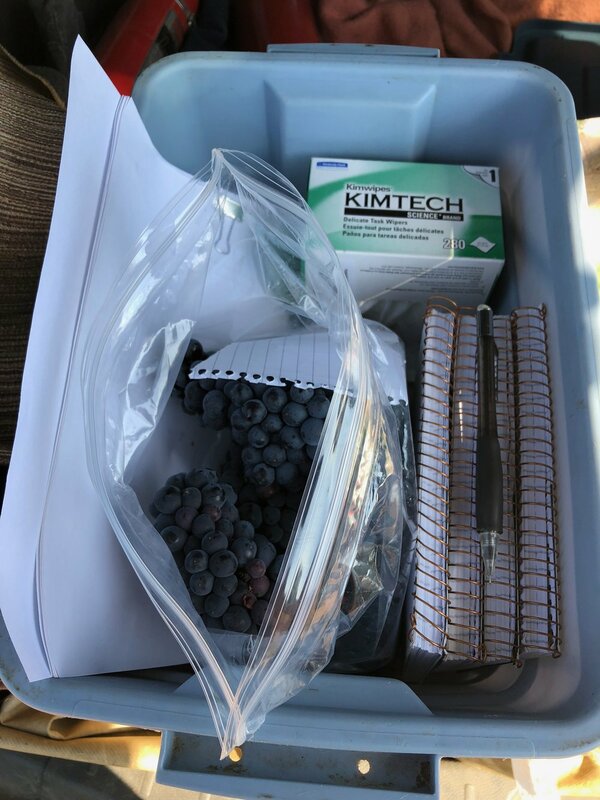 Sending grape samples from Oregon and a little birthday dinner with the truck hauling our fruit. We both have harvest birthdays, so any little thing is a bonus! Molly’s harvest job from Oregon, sampling our Oregon vineyards. Pablo adorned with the lovely Oregon blackberry. Monmouth, Oregon: the odd couple, Goliath on the left and his pal Pablo. Happy kids – this spring we had 5 doelings and one buckling. You don’t see vines like this everyday. 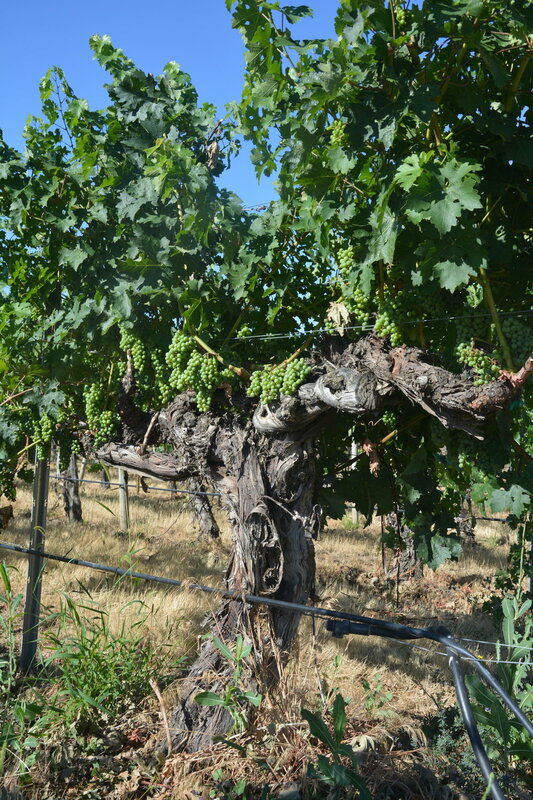 This is Bacchus Vineyard, Washington State Cabernet Sauvignon planted in 1972. 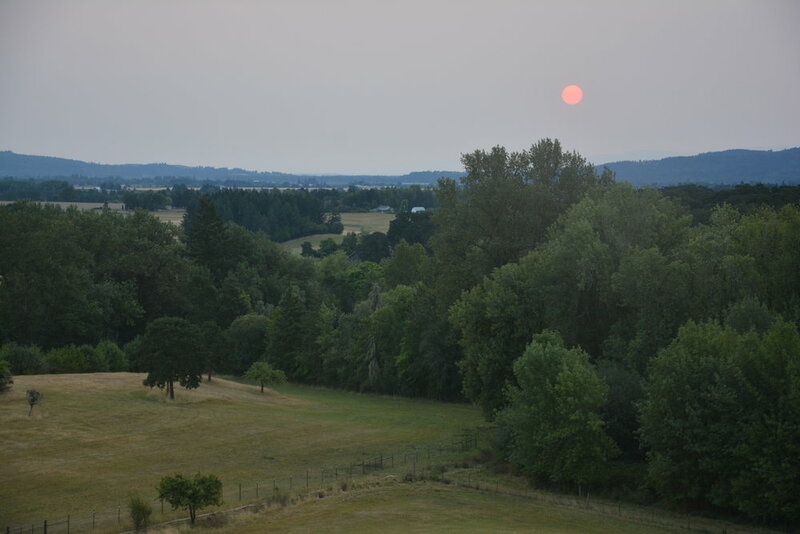 Monmuth Oregon: Another very smoky summer in the Pacific Northwest. When we first arrived to Oregon, Molly opined about seeing some bluebirds (they are on our label after all). The next day a pair of bluebirds arrived to the bird bath. This pair had two sets of young. It has to be a good omen when you have a flock of bluebirds sitting on the roof of your new home! Spring 2018: Just a few hours old! Born on the blue moon. Happiness - spring is springing! Night-time at the winery, three dogs wishing they could be of help! We never get weary of the beauty. Yep, some of the best harvest help you can get! Look at this beautiful new version of our label - 2015 Cabernet Sauvignon on the bottling line. Release date: Fall 2019. Cabernet lees, opalescent like metallic ink. Sending the happiest holiday wishes to all. Eclipse over harvested wheat fields in Walla Walla. It was overcast the day before and the day after, but perfectly clear on that day. This dragonfly stayed on our truck antenna for the eclipse. Later that day, we had dozens of these flying circles and doing acrobatics above our yard - a sight we haven't experienced before. Spring Release 2016: Beautiful bread by the Walla Walla Bread Company and "grandpa onions", a staple in our spring garden. Pressing fall leaves - color inspiration for our label. Fall 2016: Pressing fall leaves - color inspiration for our label. 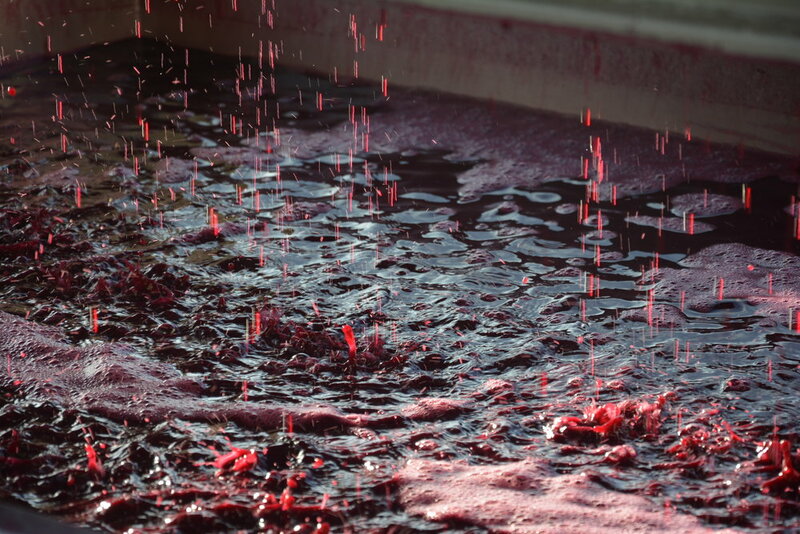 Pinot Noir drain down harvest of 2016.